Hanneke trades in illegal goods. 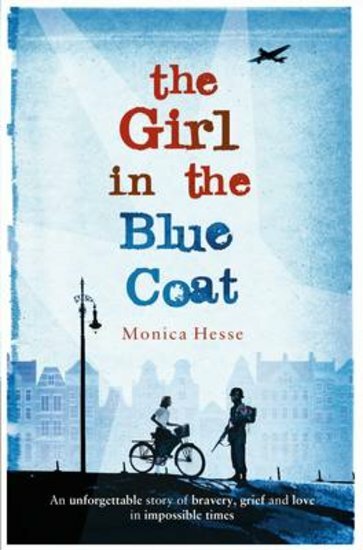 But nothing is more illegal (or deadly) than a Jewish girl in a Nazi world… 1940s Amsterdam is a far cry from today’s pleasant city of cute cafes, canals and chocolate shops. Well – the canals are still there. But so are a LOT of Nazi soldiers. (And silently furious Dutch.) Hanneke is one of the latter. She spends her nights mourning her boyfriend – killed trying to resist the German invaders. She spends her days selling black-market goods: her small act of rebellion against the Nazis. It’s dangerous work. But now Hanneke’s had an even more deadly request. A customer wants her to find a missing girl. A fugitive girl. A Jewish girl. Can Hanneke find the runaway before the Nazis do?